If you have flown on a commercial airliner in recent years, chances are you benefited from the engineering and computer science expertise of Walt Braithwaite. During his almost four decades at The Boeing Company (Boeing), Braithwaite helped transform the field of aerospace design from a manual time-consuming process to one done almost entirely on computer. Born in Kingston, Jamaica, in January, 1945, Braithwaite came from a modest background. His mother Ivy Braithwaite was a beautician, seamstress, and embroiderer, while his father Ivanhoe Brathwaite worked as a laborer and in sales. Braithwaite had one sister. He decided at a young age to enter the field of engineering, taking a correspondence course in diesel engineering and also apprenticing in a maritime machine shop. As a teen, his family emigrated to England. He started at Hackney Technical College in London, pursuing a certificate in mechanical engineering. He then moved to Chicago, Illinois, to complete his earlier training in diesel engineering. Braithwaite continued his studies at the American Institute of Engineering and Technology, also in Chicago, graduating in 1965 with a B.S. in engineering. While working professionally, he completing a M.S. in computer science at the University of Washington in 1975. As a Boeing Sloan Fellow, he attended the Massachusetts Institute of Technology (MIT) earning a master’s degree in business management in 1981. Braithwaite joined Boeing’s Fabrication Division as associate tool engineer in 1966. By 1975 he had become a senior engineer. In this role, he was tasked with expanding the use of computer technology using Computer Assisted Design / Manufacturing (CAD/CAM) in the development of Boeing’s commercial airliners. Before the 1970s, aerospace manufacturers generally had to rely on manual drafting and an expensive and time-consuming mock-up process in order to develop new models. Now, however, an airplane can be designed and “manufactured” digitally, leaving little to chance once the physical components are assembled. Owing in large part to Braithwaite’s leadership, the Boeing 777 was the first “paperless jet,” meaning the first jetliner designed entirely on computer. Braithwaite also played a critical part in developing the Initial Graphics Exchange Specification (IGES), a protocol for the exchange of digital information on CAD/CAM systems. Prior to its creation, different companies, along with public sector bodies, used varied CAD/CAM systems that could not “speak” to one another, making collaboration difficult. Braithwaite conceived and led the process for converting each machine’s proprietary data representation to a standard one, allowing data exchange. In 1991, Braithwaite became a vice president at Boeing, in charge of information systems and architecture. Three years later, in 1994, his responsibilities expanded still further when Boeing named him vice president for all information systems activities within the commercial airplane group. In 2000 Braithwaite was named President of the newly created Boeing Africa based in Accra, Ghana and Johannesburg, South Africa. At the time of his retirement in 2003, Braithwaite was one of the highest-ranking black employees in Boeing’s history. After retirement he continued studies started at the University of Washington at Rushmore University, leading to a Ph.D. in technology and business processes. Over the course of his career, Braithwaite earned many honors and awards including the Joseph Marie Jacquard Memorial Award in 1987 from the American Institute of Manufacturing Technology. In 1995 he was named Black Engineer of the Year and the following year, received the Seattle-based Museum of History and Industry’s History Makers Award in Science and Technology. 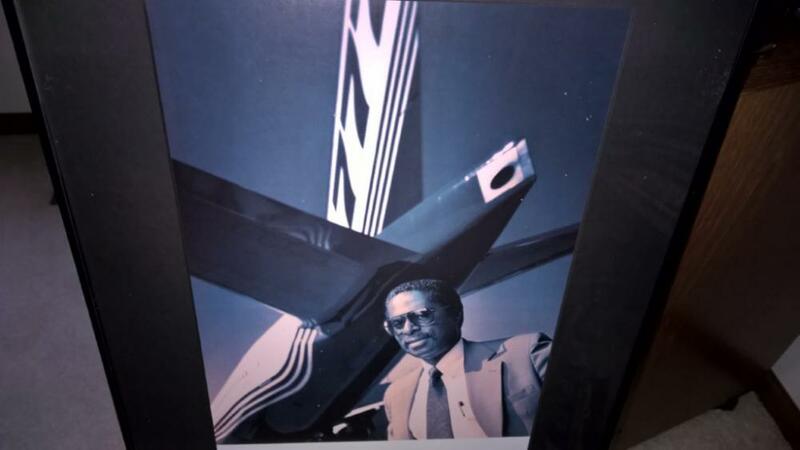 In 1998, the University of the West Indies awarded him an honorary doctor of laws degree and in 2017, the Museum of Flight recognized his achievements with its Pathfinder Award. Braithwaite is married to Rita Braithwaite. The couple have three daughters. In addition to his contributions to science and engineering, he has volunteered with the YMCA Black Achievers Program and served as role model for African Americans in the field of engineering. He is a member of Sigma Pi Phi Fraternity. The Boeing Company, “Boeing Names Braithwaite as President of Boeing Africa,” July 26, 2000 [press release], http://boeing.mediaroom.com/2000-07-26-Boeing-Names-Braithwaite-as-President-of-Boeing-Africa; Jerry Large, “Boeing's Walt Braithwaite -- Commands Respect -- His Ideas, Integrity, A Computer Savvy Earn Him A Seat As Vice President,” Seattle Times, June 9, 1996; Travis E. Mitchell, “Walt Braithwaite: The 1995 Black Engineer of the Year,” U.S. Black Engineer Magazine, 1995 conference issue, 37-38. The Boeing Company, “Boeing Names Braithwaite as President of Boeing Africa,” July 26, 2000 [press release], http://boeing.mediaroom.com/2000-07-26-Boeing-Names-Braithwaite-as-President-of-Boeing-Africa; Jerry Large, “Boeing’s Walt Braithwaite — Commands Respect — His Ideas, Integrity, A Computer Savvy Earn Him A Seat As Vice President,” Seattle Times, June 9, 1996; Travis E. Mitchell, “Walt Braithwaite: The 1995 Black Engineer of the Year,” U.S. Black Engineer Magazine, 1995 conference issue, 37-38.